Why the Emerald River ? 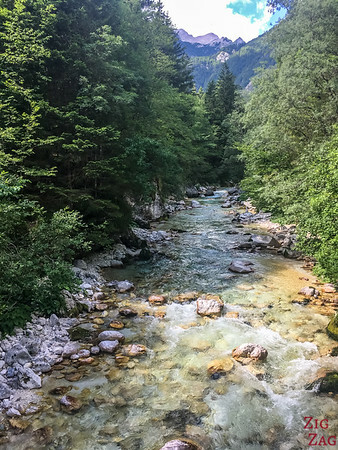 Let's start with a short video to see the waters of the Soca River flow, the change in shades of green and the magnificent mountains of the Soca Valley. Are the Emerald River colors in the photos real? I can tell you that the name Emerald River is not overselling it. The colors are really unbelievable and make you think of jewels: sometimes Emerald, sometimes aquamarine but never boring! 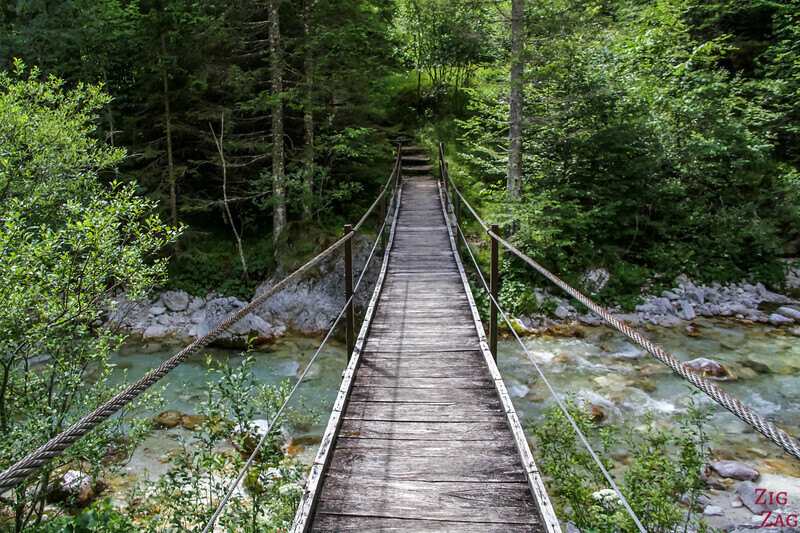 So, to my opinion, it is one of the best things to do in Slovenia. 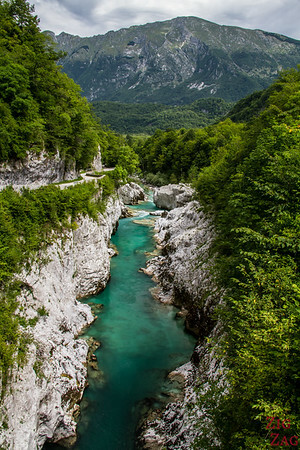 Why is the Soca River color emerald green? 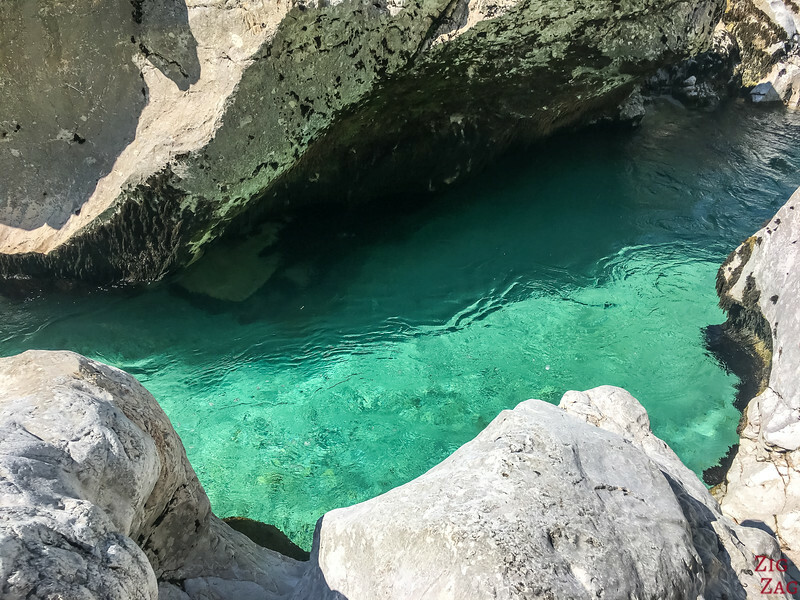 The colors comes from the small particules of bed-rock suspended in the water (the rock flour) which reflect more of green and blue when hit by the light. Since the region is mainly limestone and marl deposits, the colors remains for the whole length. Seeing those colors in Mountain lakes and river is quite frequent. 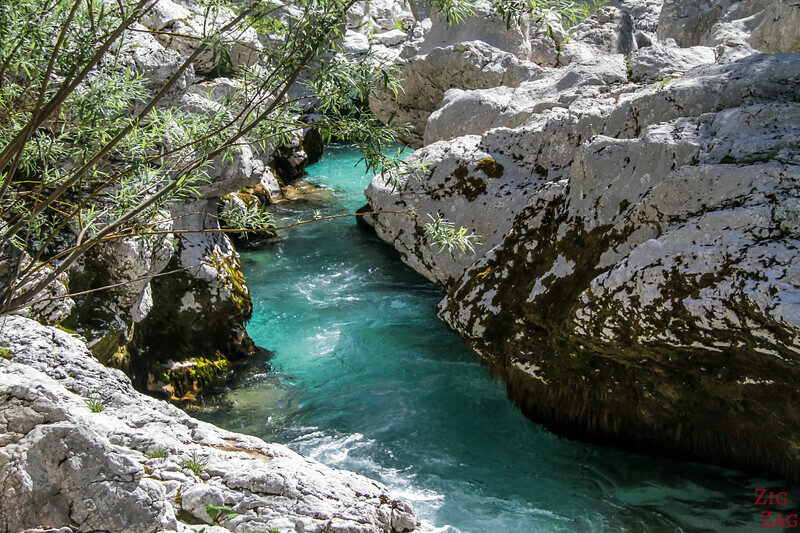 What makes the Soca river special is that it retains the color from a very very long time, through all its length! 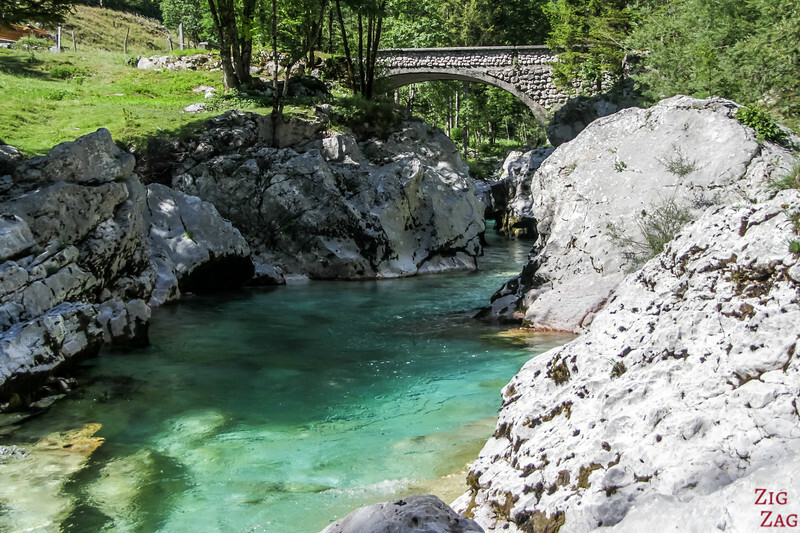 The region of the Soča Valley starts from the North of the Triglav National Park, just south of the VRSIC pass and goes all the way down to Nova Gorica where the river cross the Border. 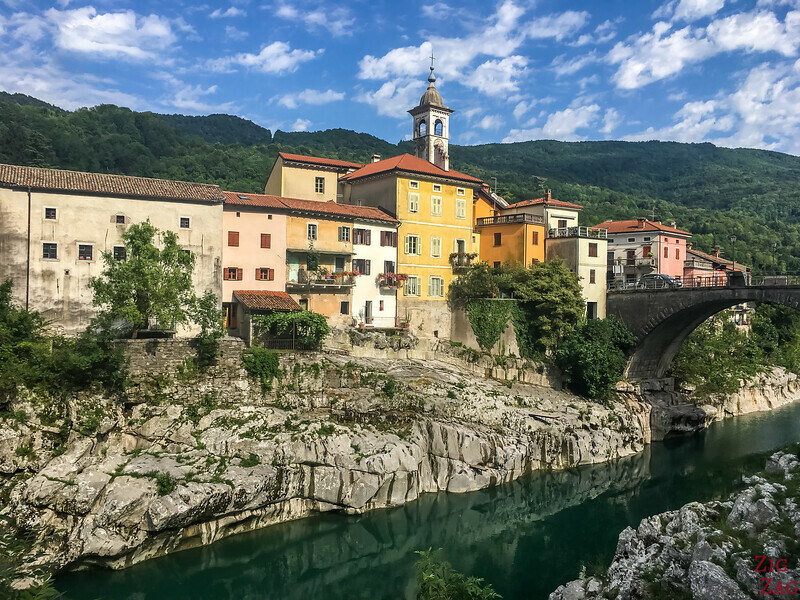 In Italy the river is known as Isonzo (and on Google Maps too). 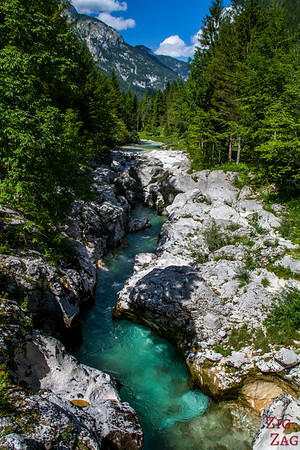 Below is a map to give you a general idea of the course of the Soca River in the West of Slovenia. 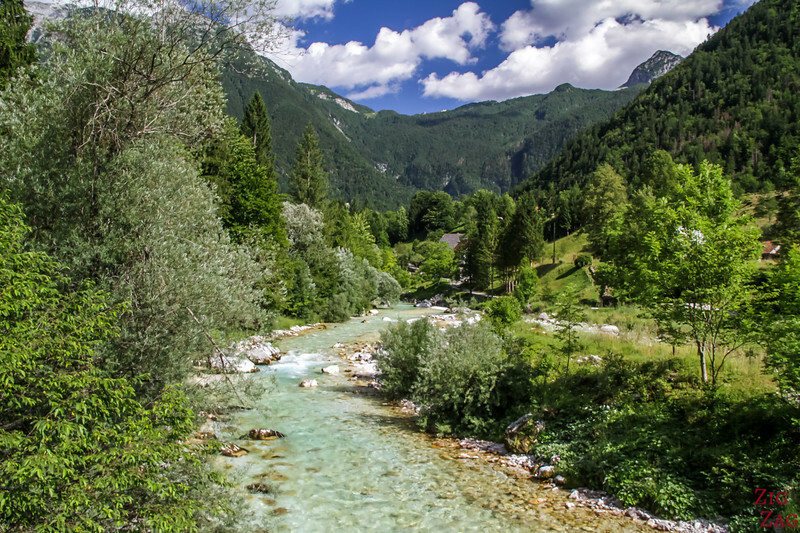 The Soca River is 136km long. 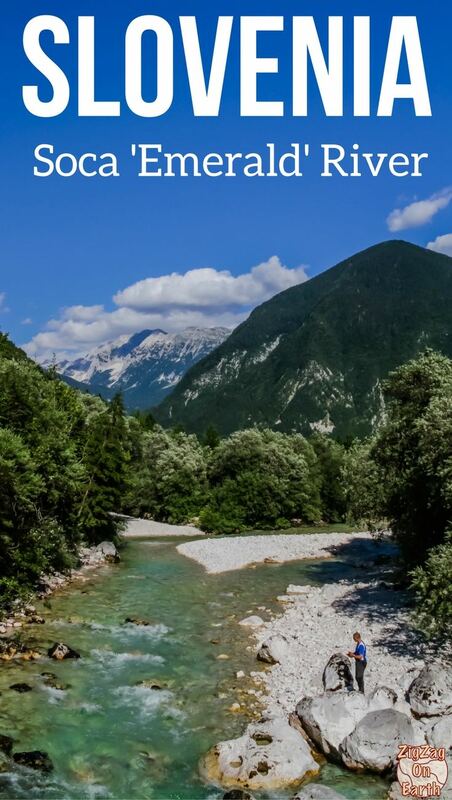 A detailed map of the West Region with all my favorite locations to stop by the river and capture its beauty is available in the eBook: The Road Trip Guide - Slovenia. It also contains the GPS coordinates of each stop and a picture to help you decide if you want to stop. 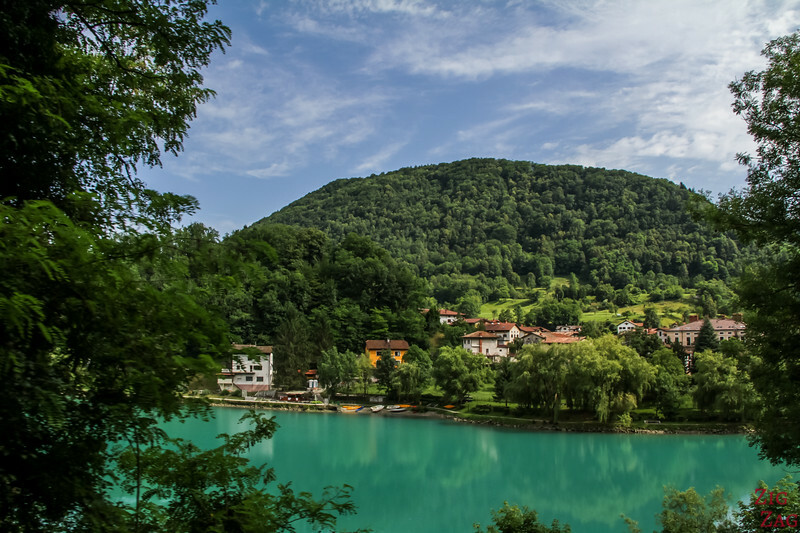 All these views, along with many other beautiful places, are included in my eBook: The Road Trip Guide-Slovenia. 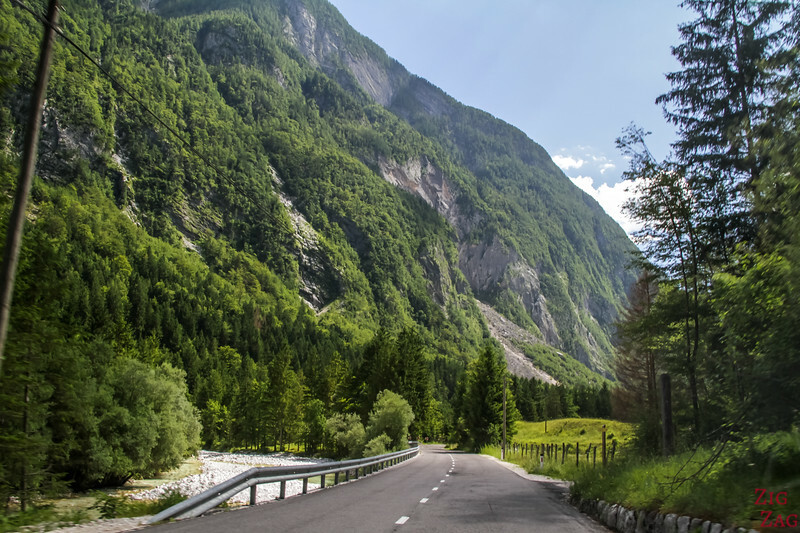 The most scenic (and common drive) to get to the Soca valley is via the North. 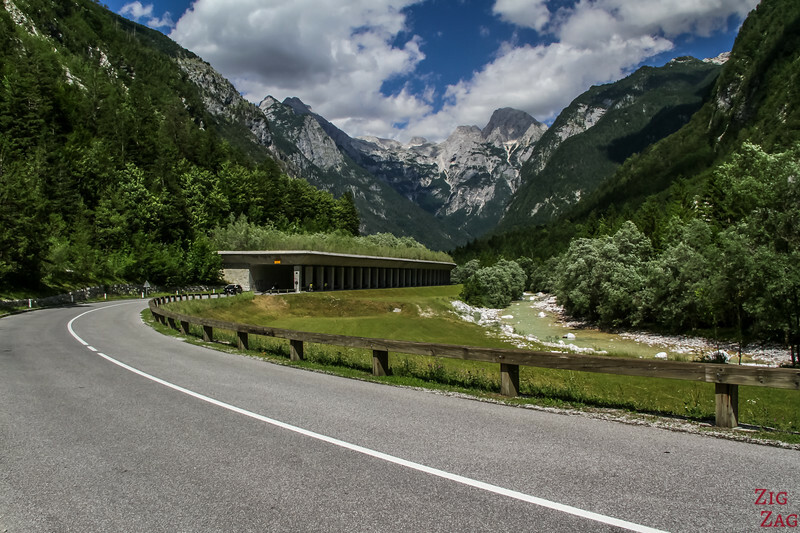 Driving from Ljubljana or Lake Bled you can enjoy the beautiful drive up to the Vrsic Pass and then down through the Trenta Valley to Bovec. 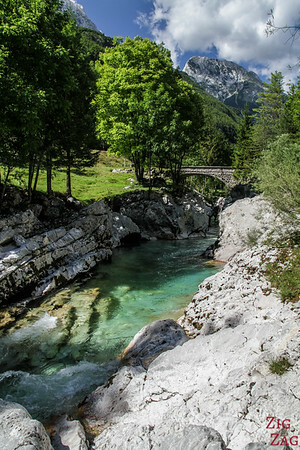 The best part of the Soca River is this section North of Bovec. Note that in Winter, the pass is closed and you reach Bovec via Italy. From the Vrsic pass (see photos of the pass here) to down in the the town of Bovec is, to my opinion, the best section of the Soca Valley. It starts with the Trenta valley and flows down with wide and narrow sections. YOU can enjoy the high peaks of the Julian Alps. What's great is that you can frequently stop to walk on a small footbridge to enjoy views of the river and the water flowing. The road is in good condition, it is quite easy to drive once you have finished all the sharp bends. At the beginning, the valley is quite narrow with walls on each side. And then it opens up. And the best part is to turn around to admire where you drive from! I have decided to create a separate section for my favorite stop along that river - This is where a big sign indicates TD Soca Lepena. At this spot, the river bed gets really narrow with beautiful white rocks on each side that have been sculpted by the flow. The colors get quite intense, especially because of the contrast with the white rocks. Plan a little time to explore the area and get down the rocks to see how the water carved its way. 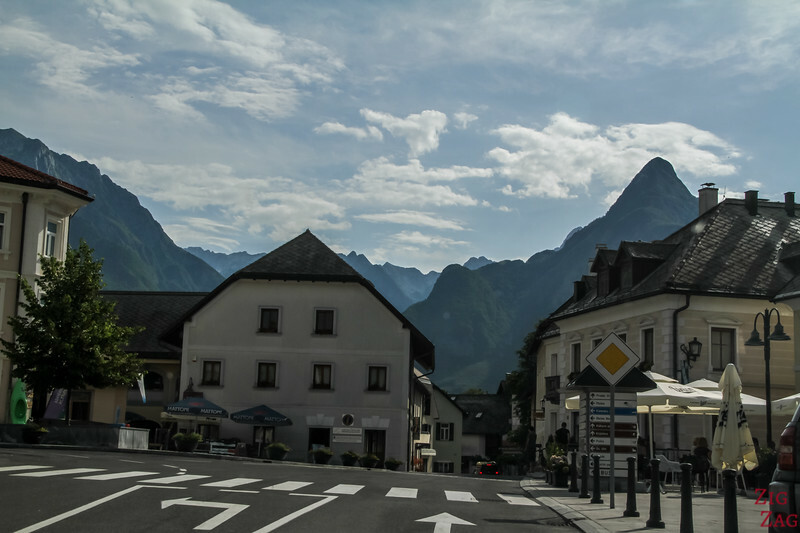 And then you arrive to an open flat area where you will find the town of Bovec. This is a great place to establish your base (see later in the article for accommodation suggestions if you decided to stay overnight). 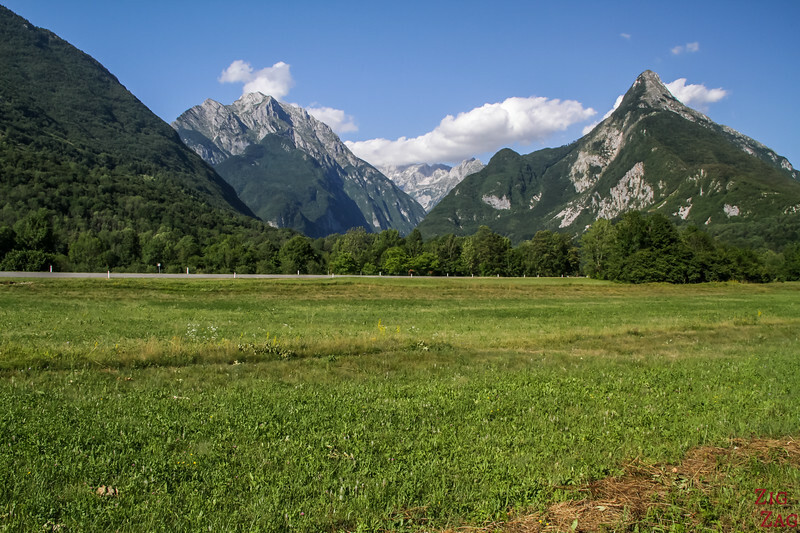 Bovec is the adrenaline capital of Slovenia. 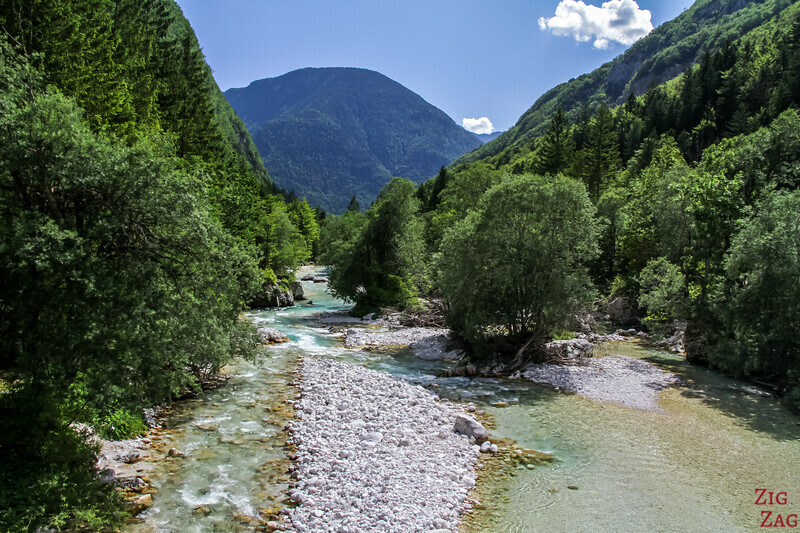 One of the top activities to enjoy near Bovec is rafting on the Soca River. It is of course guided with a leader at the back. 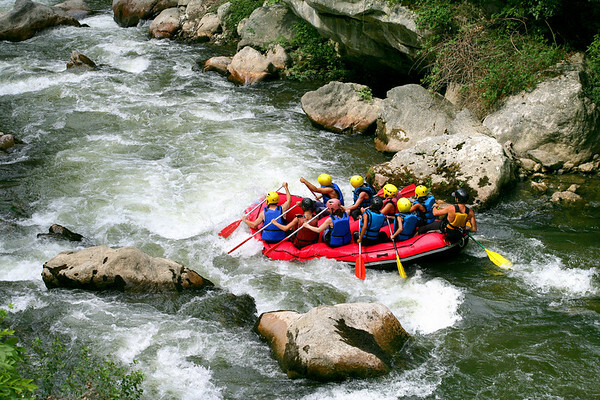 It will take you through the rush of Class III rapids and enjoy the natural slalom areas created by the rocks. You will spend 1h30 on the river admiring its beauty from up-close. If you love rafting, the Soca River is one of the most beautiful place to do it! 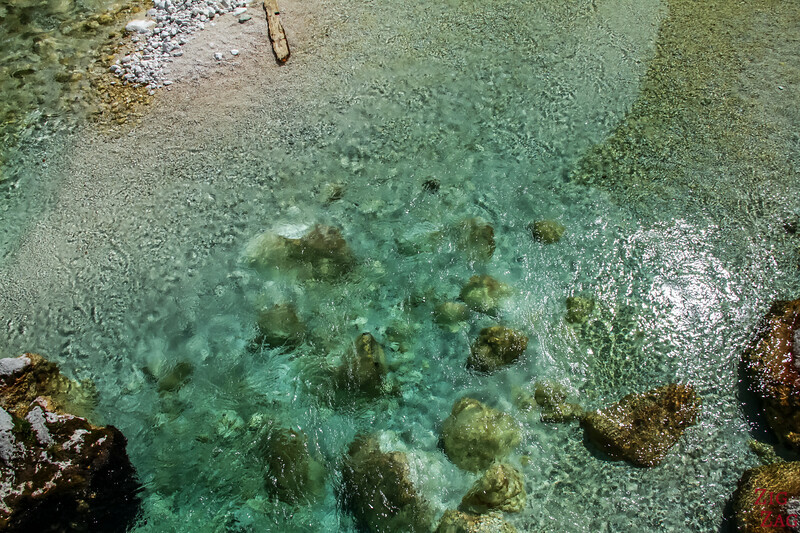 If you want to enjoy the river in a quieter environment, there is a possibility to climb in a Kayak and glide on the calmer section of the Soca River. Slap Virje was one of my favorite waterfalls in Slovenia. 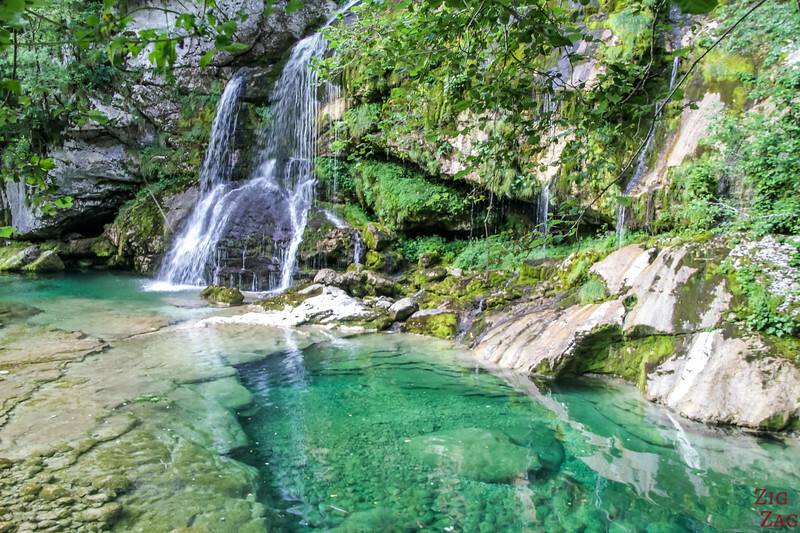 It is hidden not far from Bovec. A short walk downhill takes you to this enchanting cove where the water flows delicately on a rock wall covered with plants. 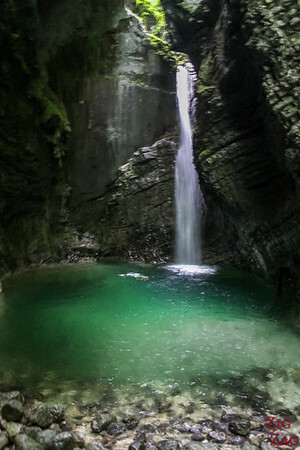 At the bottom is an emerald pool. I really thought I would see fairies flying around!!!! 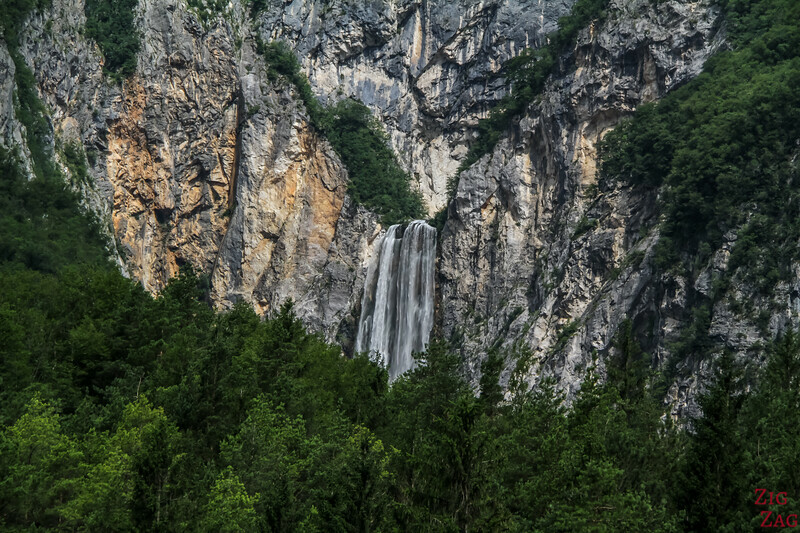 Slap Boka is one of the most famous waterfalls in Slovenia because it can be seen from the road and it is an impressive drop againts a vertical wall. The first drop is 106m high and the next one is 33 m high. You can climb 15min to a platform to see it a bit better but part of the view is still blocked. To really see its power, you need to hike further and it is not an easy climb. Slap Kozjak is quite famous too but completely different. You have to complete a 1h15 return walk from the parking. The trail is quite easy and well maintained. At the end you cross small bridges and you get a to a small platform to view the hidden 15m high waterfall. And once again the color is stunning. See more photos and get info on my article about Slap Kozjak. 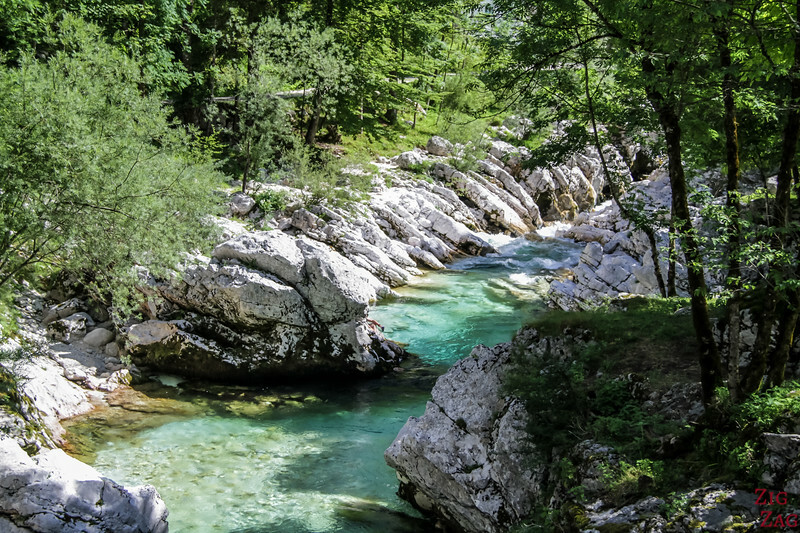 The South section of the Soca river is not as famous, but it also offers splendid locations. 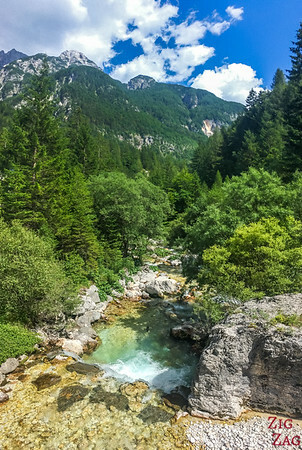 Further downstream the Soca River meets the Idrijca River. At this location is the town of Most na Soci and a beautiful green lake-looking section of the river. Quite different from what we have seen before. No more high peaks, we are South of the Triglav National Park. As we drove towards the Brda region, I discover another stunning spot on the river: the small town of Kanal with colorful house, historical ruins and multiple shades of green. 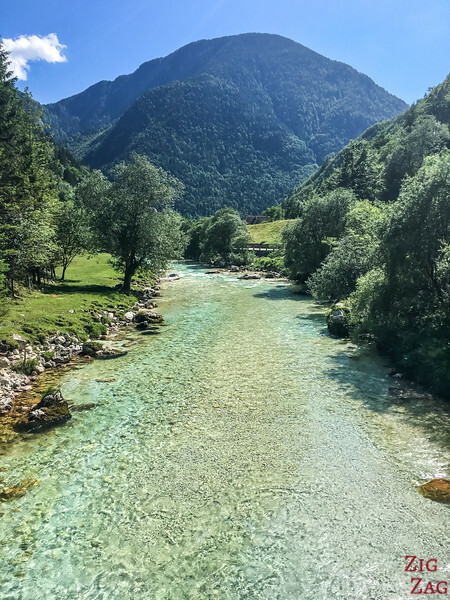 If you want to explore the Soca Valley and admire the Soca River, the best spot to stay nearby is definitively in Bovec. 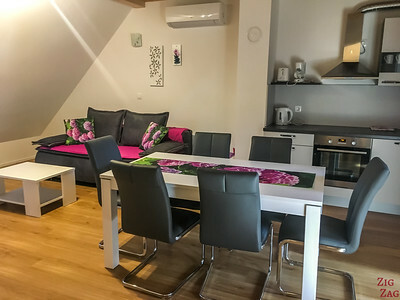 It is very central with great views of the mountains and easy access to all the waterfalls, War historical buildings and soca river activities. I opted to stay in an apartment. 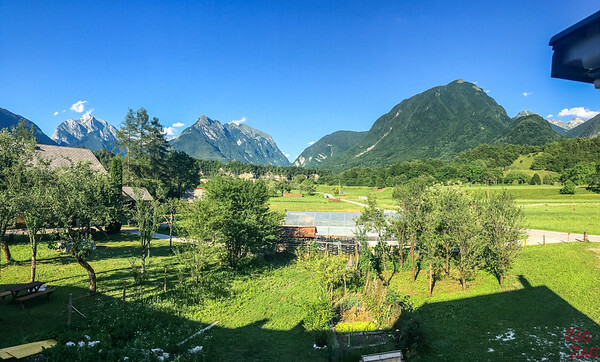 It was a little bit outside of Bovec but with a fantastic view from the windows (too bad we did not have a balcony). The Apartment Wallas was beautifully decorated with lots of space and all the equipment you might need. Below is the picture I took from the window! 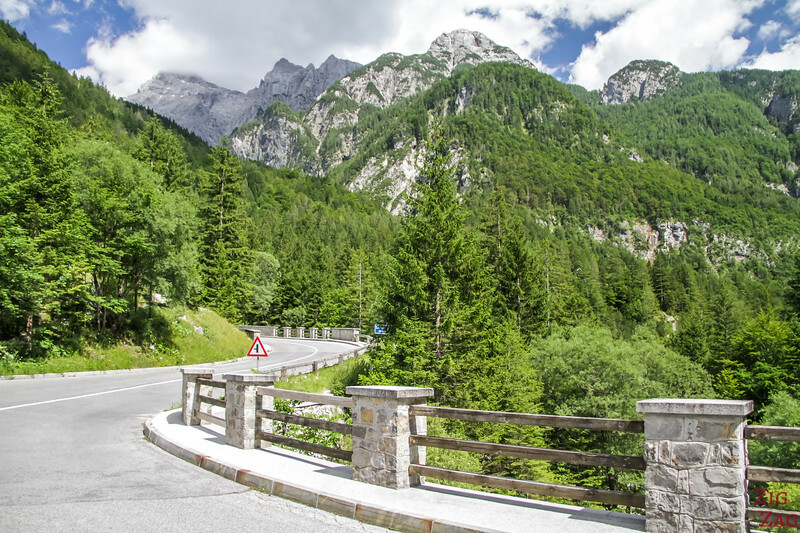 I recommend the drive via the VRSIC pass (closed in Winter) as it offers splendid views of the Julian Alps. You can just drive through over a day or stay for several nights to enjoy all the activities and surrounding roads and mountains. 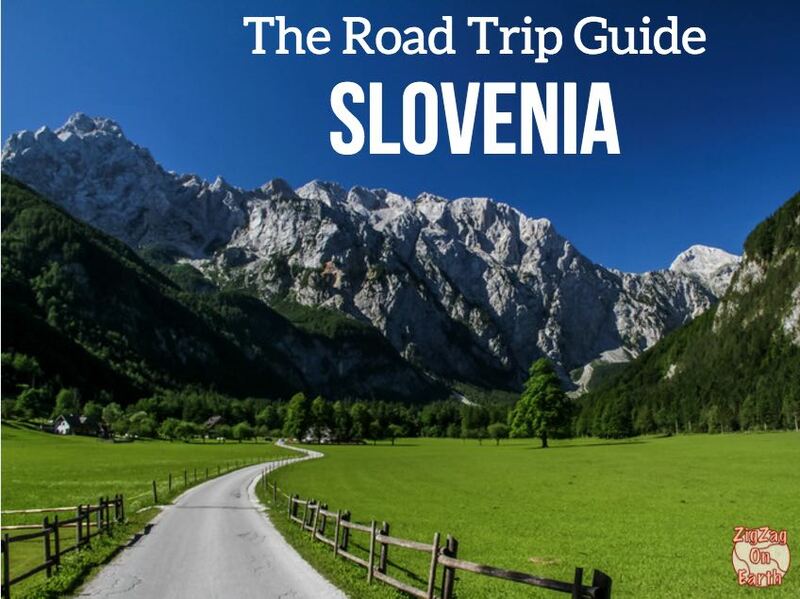 Get ready with my guide to driving in Slovenia.